School, High School, College Student and Homeschool Planner Stickers. 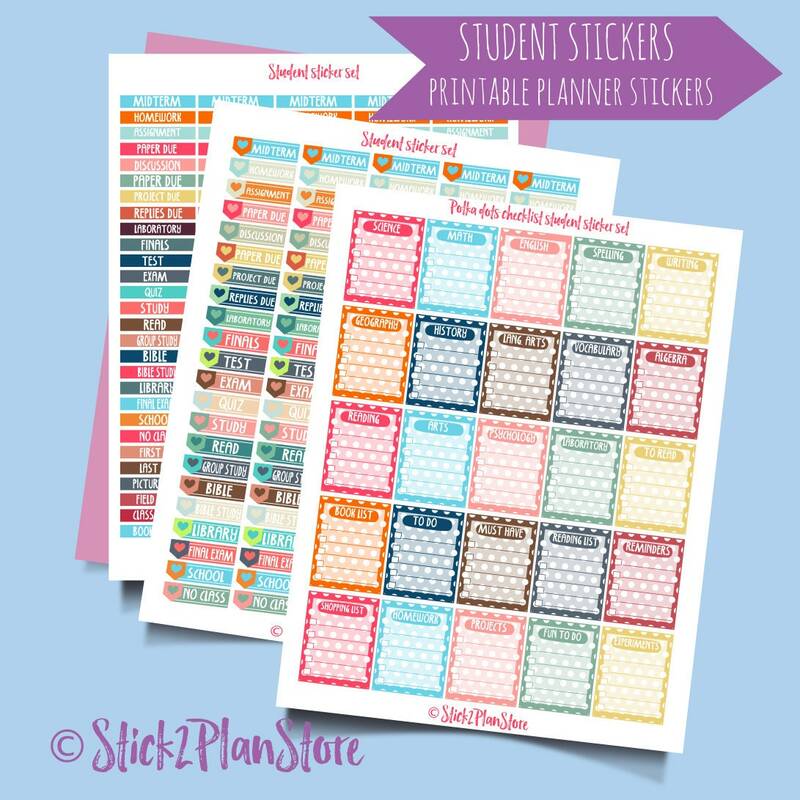 Printable stickers for students and homeschoolers to decorate and help you organize your planner. 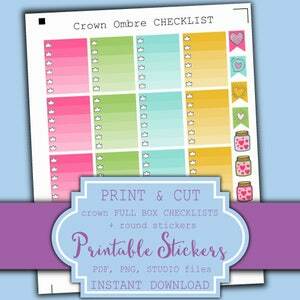 This listing is DIGITAL download only, NO physical product will be shipped. Print on either an 8.5" x 11" or A4 sized sticker paper. Load to your Silhouette machine and done. No cutting machine? 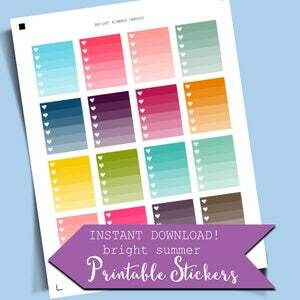 Don't worry, you do not have to have a Silhouette to use these stickers. Just print and cut it yourself. 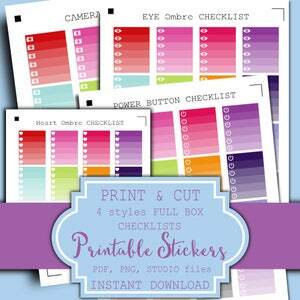 You can use scissors,X-ACTO knife or Gyro cutter. These digital products are for PERSONAL use ONLY! Share or distribute the file. Include it in any online or offline archive or database. Since this is a digital download, all sales are final.